Did you hear something? No? What if someone just entered the yard, or opened the front door? Maybe it wasn’t an alert, but a heart-melting connection moment you missed instead. What if your grandkid just whispered ‘I love you‘. What are you missing along with your hearing loss? If you’re sick of feeling isolated and vulnerable because of your age-related hearing loss, read on. Conductive hearing loss can be treated by medical treatment. Sensorineural hearing loss is generally permanent. If you witness somebody experience sudden hearing loss – that is, near or total deafness within a 3-day period, treat this as a medical emergency. There is one more category of hearing loss known as, age-related hearing loss. Around one in every three people between 65 and 74 experience age-related hearing loss. For those over 75, almost half have trouble hearing. People might feel too proud to admit there is a problem, so the responsibility of finding help often falls to a loved one. Age-related hearing loss is known medically as Presbycusis. It usually builds up slowly as someone gets older. Doctors find that it runs in families, so you may have a predisposition to it. It usually occurs in both ears at once and evenly, rather than in one ear more than the other. Because the loss of hearing happens slowly, the person may not even be aware it is happening. It is often loved ones that notice and encourage them to seek help. If you or someone you love is experiencing hearing loss, there are some signs to look for. They might find it harder to have normal conversations. This is problematic for street safety, like by not responding to shouted warnings. Or because they don’t properly understand instructions from their doctor. That’s why you should get on top of the problem as soon as you see signs of it. Some of the more subtle signs of hearing loss are depression or withdrawal from social situations. Perhaps they feel embarrassed at the feelings of vulnerability that hearing loss generates. They might be frustrated at not understanding what people say to them, or for not being able to follow the group’s conversation like they used to. It’s a constant reminder that they’re aging, and not as able or resilient as they once were. It’s a difficult situation and should be handled with sensitivity and care. Hearing loss is usually caused by disease, hereditary factors, and exposure to extreme noise. Age-related hearing loss is, unfortunately, just another of those physical abilities that can weaken with age. What Are the Risks of Ignoring It? If you ignore hearing problems, they can get worse. It’s important you talk to your doctor about it. This is also because of a correlated health concern, dementia. Research shows that adults experiencing hearing loss are more likely to develop dementia. 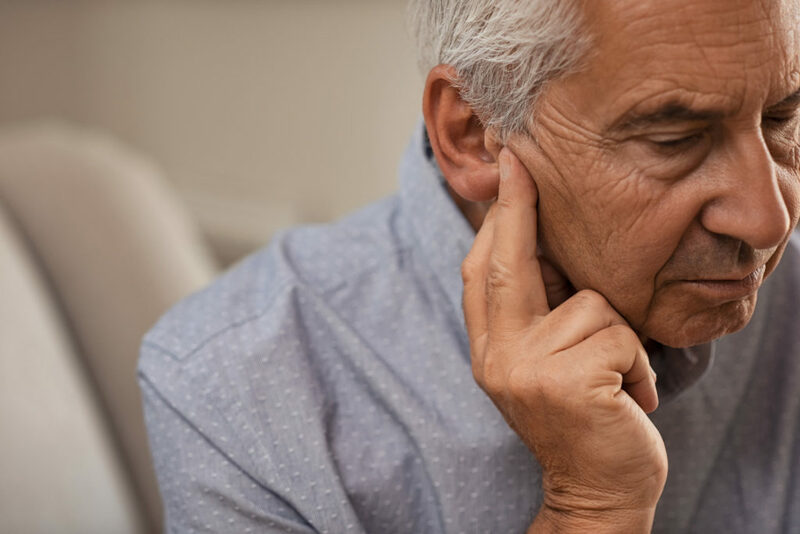 Concentration and memory decline more quickly in adults with age-related hearing loss than in those who can hear normally. More research is needed to understand if there is an element of causation. But what we know for sure, is that if you experience hearing loss, it’s time to get your health more closely supervised by a doctor. There are lots of interventions to help with hearing loss. Your doctor will need to be sure about the causes before they prescribe your treatment. Some of the options include special training, medicines, surgery, and hearing aids. Hearing aids are life-changing. They are also a bit expensive. It’s important you do your research before buying, to make sure you buy the right device for you. Essentially, the hearing aid is like a little speaker, amplifying sound to a level someone with hearing loss can still hear clearly. They are made up of a tiny microphone, amplifier, and receiver. Technology has well and truly transformed the hearing aids of today from those our own grandparents wore. Digital hearing aids – the most common on the market today – filter out background noises and annoyances. This helps the wearer to focus on those talking to them instead. Some of the things to consider when buying a hearing aid are fit, budget, level of amplification, and any required additional features or extras. You’ll find they come in a variety of styles, so it’s good to start with a clear understanding of the grade and kind of hearing loss you have first. Audiologists are a great help in narrowing down the kinds of hearing aids that will be best for you. If you’re experiencing age-related hearing loss, you now know that it’s normal, likely hereditary – and not without solutions! Make sure you hear any unusual sounds at night and don’t miss another special moment with your grandchildren because of it. Stop putting off the appointment with your doctor and audiologist. Once you’ve ticked that box, you’ll be ready to buy a hearing aid. Get expert advice on breakthrough hearing aid technology at our website today!